What does â€œupgraded wiringâ€ really mean? The subject of home inspections continues to matter to buyers and sellers. John says that he would never listen to a home inspector recommendation by a real estate agent because they only refer inspectors who will likely approve the house. My answer is that real estate agents will normally recommend three professionals. You should take the time to check references for any inspection company before deciding to hire them. Jim, a seller, complains that buyers use the home inspection condition to come back and try to renegotiate the price. Paul, another seller, asks whether they should do their own home inspection before putting their house up for sale. Because many sellers refuse to sign disclosure statements about the condition of their properties, there is a concern by buyers that the sellers may be hiding something. 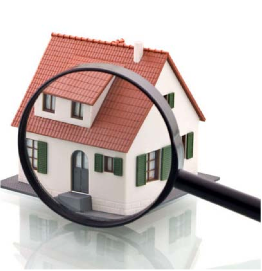 As a result, some sellers are having their home inspected before they offer it for sale. By having a home inspection done in advance by a reputable company and handing a summary to an interested buyer, you can give the buyer more peace of mind. The seller can also fix the problems noted on the inspection and show the buyer what was done. This should prevent buyers from coming back to try and re-negotiate the price after doing their own inspection. Buyers need to ask for proof as to what the seller means by any of these claims. New shingles on a roof is not the same as replacing the entire roof. Does upgraded plumbing refer only to some new bathroom fixtures, or does it include all new pipes throughout the house? Does upgraded wiring mean that you have installed modern light dimmers or does it mean that the old knob and tube wiring has been torn out and replaced. Total renovation can mean many different things. It is important that buyers ask sellers to produce proof, by way of contracts or invoices, to demonstrate exactly when and what work was done. Are there any warranties that were given with the work? Are these warranties transferrable to the new buyer? By obtaining copies of any work that was done and providing this to your home inspector in advance, a more thorough inspection can be done to make sure that the work was done as advertised. The home inspector will have a better idea on what to focus on. Bill, a buyer asks how he can protect himself about termites or mould in a house? Sellers have an obligation to tell a buyer about serious hidden problems that an inspector may not see, such as foundation problems, roof or basement leaks, mould or termites. While a home inspection company may be able to look for visible structural component evidence of termites, buyers will probably require a pest control specialist to inspect to see if there are any problems. Buyers need to check whether the area in general is known for termites before deciding if anything further is necessary. Sellers, remember that more disclosure means more peace of mind. Buyers, asking the right questions in advance will make choosing a home inspector and conducting a thorough inspection easier. By – Mark Weisleder is a lawyer, author and speaker to the real estate industry.